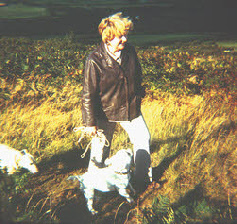 It all started when my Dear Aunty Barbara (really a second Cousin), added a Whippet to her family. 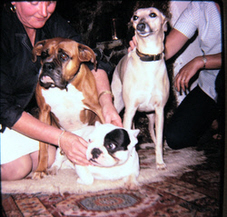 Minnie was elegant, and serene, a silver-fawn, who captivated my heart. 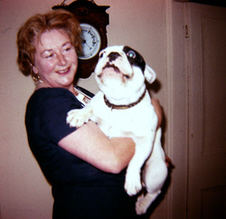 From that moment I knew that this was the breed for me. 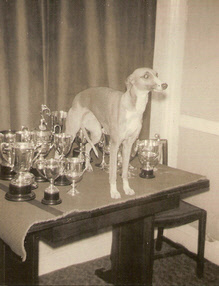 And of course, Minnie the Whippet. 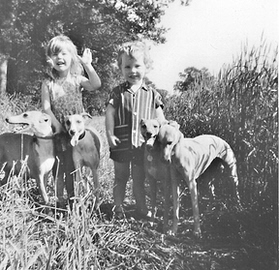 My family was not in a position to keep dogs when I was a child, so as soon as I was in my own home, a Whippet or three were added! By this time I was married with baby Twins, so my family was complete!